Purposefully built and reliably safe marine, brow and dock gangways. 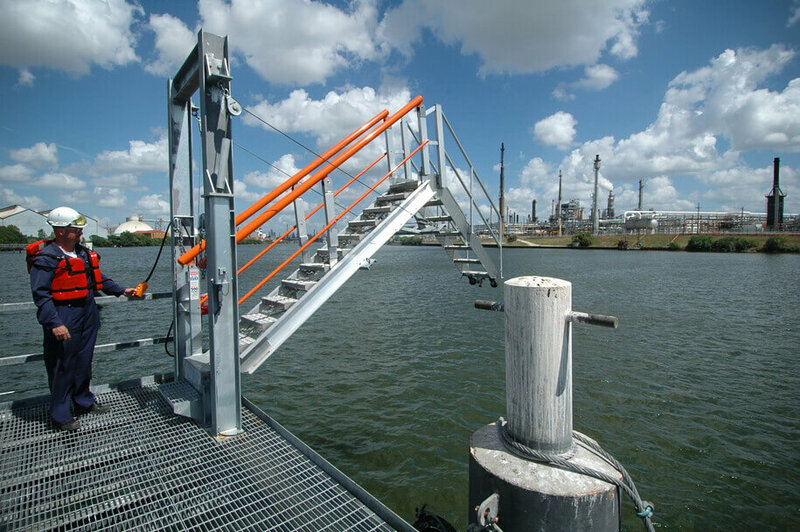 Custom marine dock ramps for safe access to and from barges and ships. 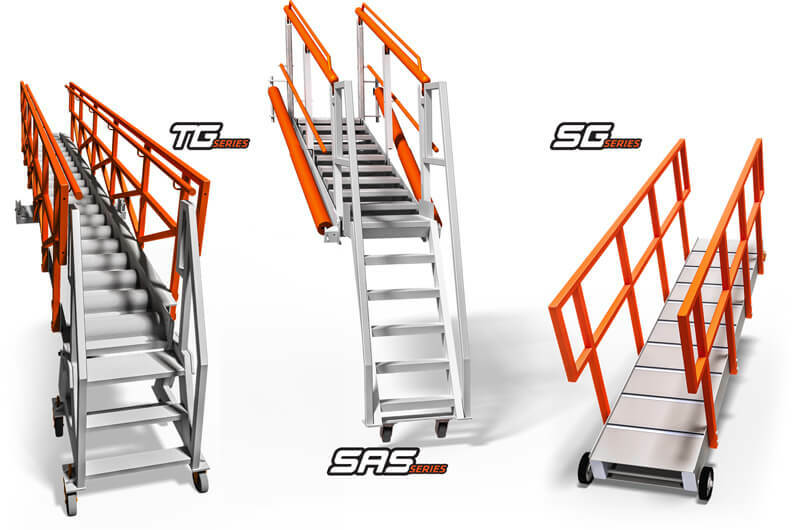 Learn more about MarinaStep’s Aluminum Gangways. Learn more about MarinaSteps Aluminum Gangways. Marine self-adjusting stairs barge gangway. Aluminum marine loading dock gangway w/ attached walkway. 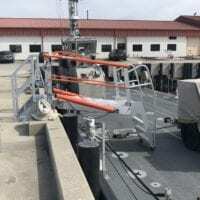 Lowered naval self-adjusting stairs (SAS) barge gangway. Product was delivered slightly ahead of schedule. When we found that aluminum shaft rings were not holding up, SafeRack was quick to produce stainless steel parts to keep our racks in service, re-affirming SafeRack fall prevention system quality.